I started wearing eyeglasses around the same time I developed the capacity to retain memories, so I have no recollection of what it’s like to move through the world without something on my face. The family photo record confirms my memories — corrective lenses in my earliest grade school pictures. For almost thirty years, putting on and taking off my glasses have been the comforting rituals that bookend my days. I have a special designation on my driver’s license acknowledging my status as a glasses-wearer. On the rare occasion that I am awake without them, my glasses are — unlike anything else that I own — always within arm’s reach. Yet, up until a few years ago, if you asked me if my glasses are a part of my identity, I would have considered your question absurd. I need them to see, I might have said, resting on the assumption that utility and self-expression are mutually exclusive concepts. Growing up, wearing glasses never felt like a choice. Even though I could choose to suffer the consequences that come from not wearing my glasses (headaches, fatigue from squinting, bumping into things all the time), why would I? I took my four-eyes status as another basic fact about my body. I was a tall, husky girl with imperfect vision. No biggie. The choices I learned to make about my glasses during my family’s annual pilgrimage to the optometrist were equally simple: black or brown, wire or acetate, rounded rectangle or rectangular oval. Better one, better two. I was 9 or 10 years old when I first saw Elton John perform on TV. He was the guest star on The Muppet Show and in the opening number, “Crocodile Rock,” Elton wears a brightly colored feather costume. He turns toward the camera and appears behind a massive feathered fan wearing a bejeweled swim cap and glasses with white frames and orange lenses. Later, he sings “Goodbye, Yellow Brick Road” wearing a sequin-studded hat patterned with piano keys, a green and yellow sequin-trimmed jacket, and glasses with stunning green brick-patterned frames and smoke tint lenses. Wow. I had seen other celebrities wear incredible costumes (Diana Ross and Liberace were my favorite divas), but it was Elton’s striking glasses that made an impression on me. 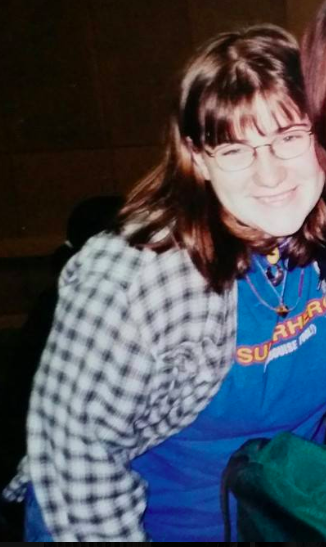 I didn’t have words then to explain how much I connected with those iconic looks, but I did sense deep down that this kind of self-assured style wasn’t available to me. There was something different about me, but it wasn’t that I didn’t have the protection of celebrity status. I just knew that I was the kind of person who wasn’t allowed to stand out. By the time I watched that episode of The Muppet Show, I knew very well how much it hurt to be an outsider. I was the widest and tallest girl in my elementary school. I didn’t even have to do anything to attract the attention of my bullies: boys who pretended to want to play football with me (“if you make her mad, she’ll sit on you”) and girls who made sure to tell me I was too big for their secret club before I ever asked to join (“we can only be friends if you can hold your wrist all the way around”). My pediatrician told me that I weighed as much as a grown woman. I didn’t know why that mattered, but I could tell by the way she said it that I was right to feel ashamed. It didn’t help my case that the prevailing cultural message during my teen years was that glasses are for dorks, nerds, and losers — hopelessly clumsy, awkward, weirdo doormats whose best hope at a social life is to have a popular kid take a sympathetic shine to them. Swapping glasses for contacts is a key sign of transformation in every ugly duckling to prom star high school makeover movie. 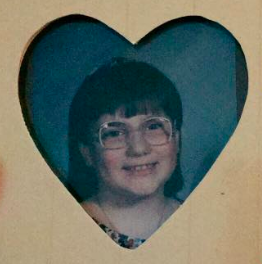 Between my size and my glasses, I was doomed to a lifetime of rejection. 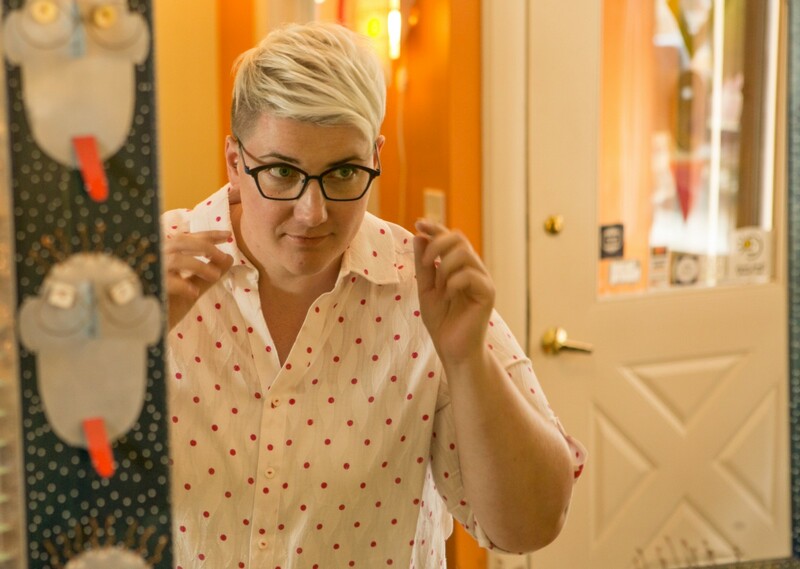 Internalizing the message that I had a bad body meant that every decision I made about my personal style revolved around cultivating an appearance and demeanor that made me invisible and, therefore, safe. But it was never really about the money. Truth be told, it thrilled me to know that there must be enough everyday people who enjoy standout eyewear to dedicate a whole store to it, but my focus on the cost betrayed a deeper, sadder reality: I didn’t believe I was the kind of person who deserved to be seen. 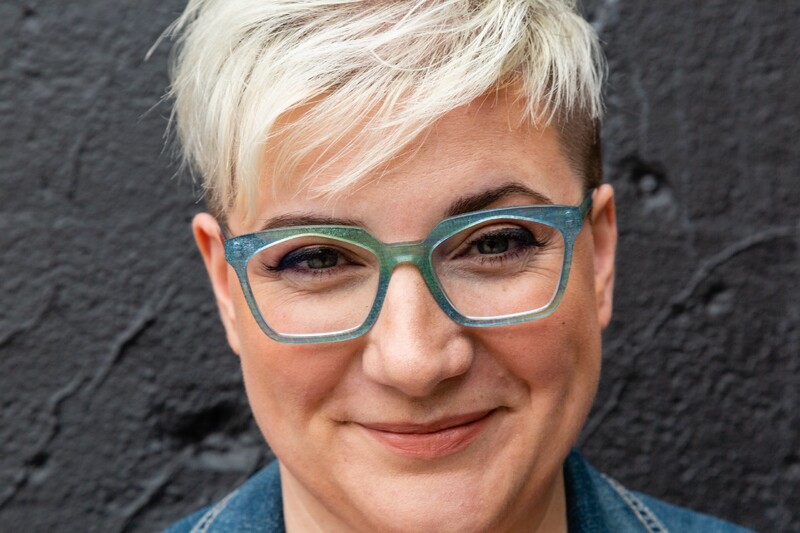 Each time I visited my favorite l.a.Eyeworks frames, marveling at the assertive shapes and bold colors, I wondered what it would feel like to be the kind of person who didn’t make decisions based on what other people valued. I always assumed that Elton John’s celebrity status gave him permission — if not outright encouragement — to wear bold looks. I never stopped to consider why I thought anyone needed permission or who was in charge of granting it. I started my blog Taking Up Space to write my own story about what health & fitness means. I transformed my entire life with one question: what if I were the kind of person who…? That question helped me break my obsession with weight loss to become an athlete and fitness instructor, fall back in love with dance, run four half marathons, and do a bunch of other awesome stuff that I once would have told you flat out that I was not capable of. Following my hunch that money wasn’t really the issue, I decided ask myself: what if I were the kind of person who deserved to be seen? What if I didn’t need my glasses to act like a symbolic shield to protect me? I realized later that this was the psychic equivalent of doing that thing where you hold your finger up to your face and say, “You can’t see me!” I imagined that I would be like Elton John and RuPaul, iconic people that I admired for their courage to be seen in a world that wanted them to hide. I imagined that I would feel more creative, sparkly, and delightful if I took some pride in my glasses. The more I allowed myself to spend some time with these answers, the more I excited I became about the possibilities. The next time I went back to Specs Around Town, I stayed. I have always taken this to mean that there are people and institutions who want to issue permissions about who belongs in the world, and those of us outside of that view issue a challenge whenever we choose for ourselves what it means to experience a full range of experiences, connections, and pleasures. Think about the messages you’ve received about how you’re allowed to take up space in the world. How would you care for yourself if you were already the kind of person who…? When we rewrite the stories about what it means to live in our bodies, we get to choose new identities based on new ways of knowing — and seeing — ourselves.